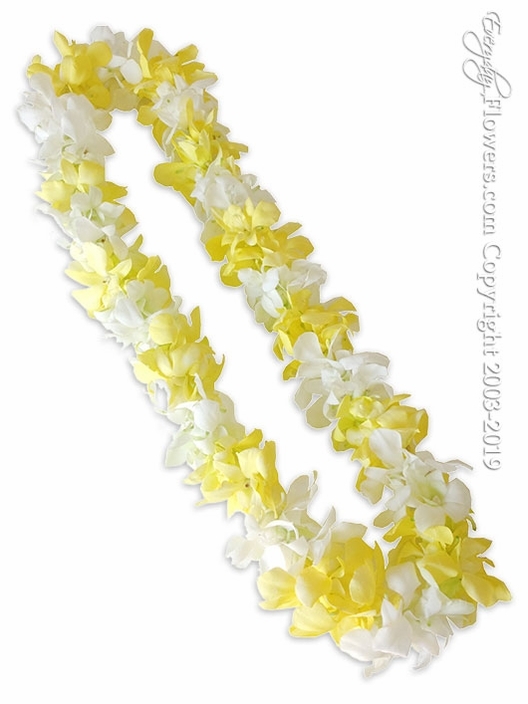 *****PRE ORDER BY TUESDAYS***** A yellow and white graduation lei using dyed yellow orchids and white orchids available for pre order before Tuesdays in order for delivery or pickup at our store on Wednesday Thursday Friday or Saturday. Last minute orders can also be placed during the week but are available for first come first serve. Please call ahead (714) 714-0306 or use our contact form to check to see if we have these available if you order after Tuesdays.